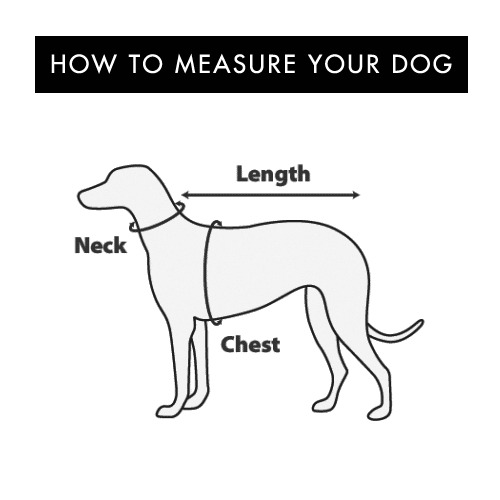 Girth: With your dog standing up and using a soft flexible measuring tape (or the string method – described below) measure around your dog’s chest/rib cage, just behind the front legs. Wrap a length of string (or anything flexible really, a belt, yarn, ribbon, fishing line, etc) around the dog, marking the meeting point and then measure the string with a flat measuring tape or ruler. 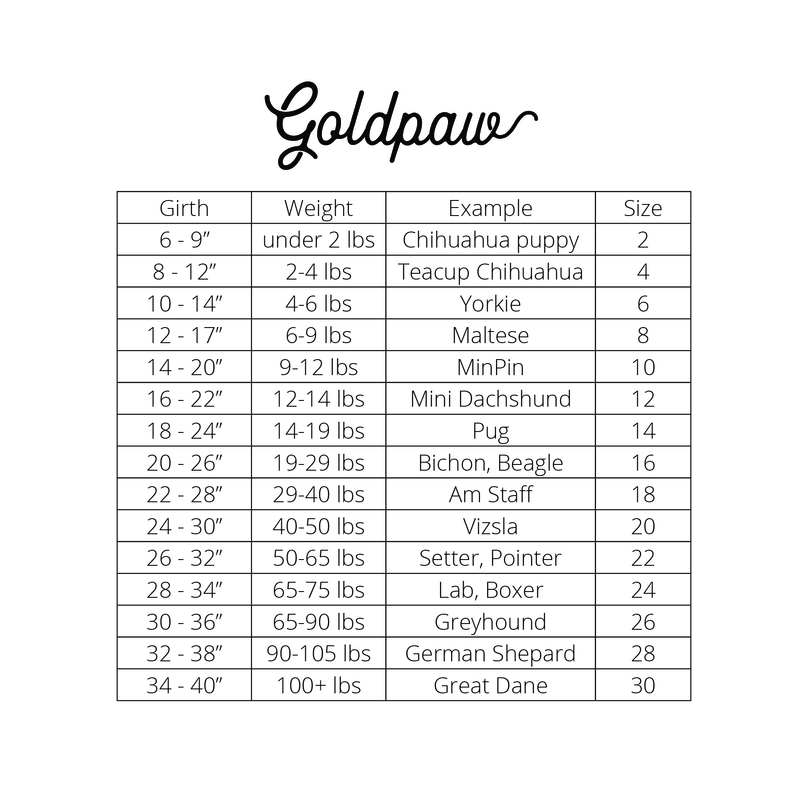 Looking at the charts below find where your dog’s measurements falls – likely into two or three possible sizes. Narrow it down by choose the closest weight. If you have any doubt, we always recommend choosing the smaller size.